I would recommend the course for its vocational emphasis, including live projects in museums and teaching by visiting industry professionals. 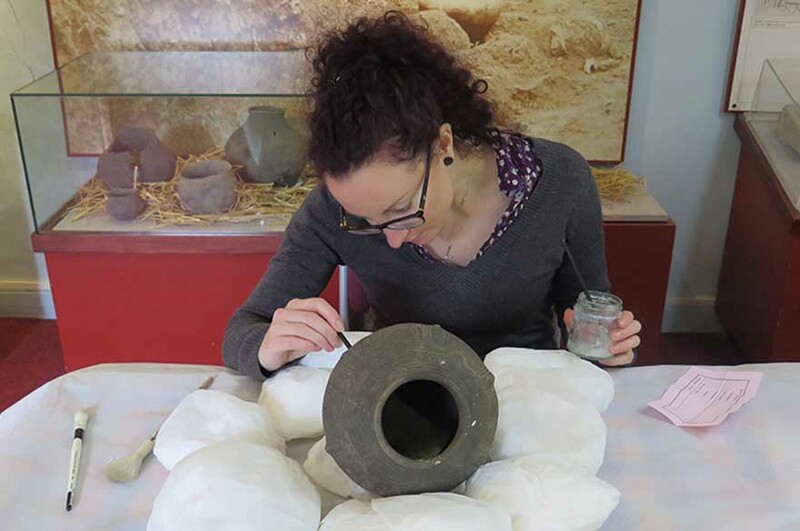 “I chose to study the MA Museum and Heritage Management as I wanted to gain the skills and experience needed to take the next step in my career. “I would recommend the course for its vocational emphasis, including live projects in museums and teaching by visiting industry professionals. It covers a wide range of topics including collections care and management, museum governance, audience development, theoretical debates and exhibition and interpretation. “During the course I also completed a three-week placement at Rotorua Museum, New Zealand, working in the collections and exhibition team. The placement improved my confidence and assured me that I was capable of moving from my current job into a new museum and a new role. “The lecturers at NTU provide a significant amount of support and they are happy to introduce you to the industry professionals in their extensive networks. One of the lecturers, Neville Stankley, even created the concept for our company (Culture Syndicates CIC), which allowed us to develop a significant career opportunity after graduating. “As a Director I am responsible for developing the business and running the day to day activities with my business partner. I also initiate and manage our main activities: heritage projects with museum clients and managing our trainee programme. “NTU offers plenty of job application support but we often find that candidates applying for our internships are not making use of Employability and careers services – and it shows in their applications! I would encourage all students to seek application advice from the Employability Team.